SPOT TELEVISION is a leader in the video production industry. We produce a weekly television program. Television Promo and webinars Web Seminars for the world wide web. Since the beginning our company has rapidly established nationwide recognition. SPOT Television is produced by SPOT Television Entertainment, a promotions company that is known for Multi media promotional campaigns , Urban entertainment is the primary format of the show. SPOT Television features interviews, recent events and performances. 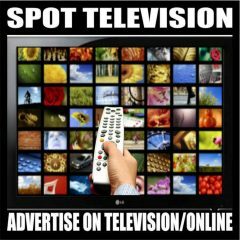 SPOTTV will promote your product on television and on the internet. We have several Levels of Participation. Please Choose one. We can share your spot at peak times so your target audience will be more likely to see it. Giveaway basket or samples client can take care of the shipping or the winner can come pick up prize. Bringing them to your store or internet sight. Support SPOTTV while growing your brand awareness by becoming a SPOT-TV underwriter. SPOT TV underwriters will have their name mentioned each week our program that airs twice a week in Greensboro, NC and Guilford County. Cost $30.00 per week that adds up to 5 dollars a program. This will be on a month to month agreement. This production is complete with video shoot, script, voice-overs, graphics. This spot can be provided to you to air on our program and other networks if you desire. A great way to promote your business, service or event in our market. We will produce your 30 second promo or use your spot if provided. Also included in this campaign is on air mentions, giveaways, contest and interview with store owner can be part of this campaign. SPOT TELEVSION is a leader in the video production industry.